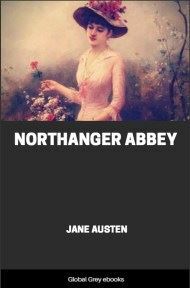 A wonderfully entertaining coming-of-age story, Northanger Abbey is often referred to as Jane Austen's "Gothic parody." Decrepit castles, locked rooms, mysterious chests, cryptic notes, and tyrannical fathers give the story an uncanny air, but one with a decidedly satirical twist. The story's unlikely heroine is Catherine Morland, a remarkably innocent seventeen-year-old woman from a country parsonage. While spending a few weeks in Bath with a family friend, Catherine meets and falls in love with Henry Tilney, who invites her to visit his family estate, Northanger Abbey. Once there, Catherine, a great reader of Gothic thrillers, lets the shadowy atmosphere of the old mansion fill her mind with terrible suspicions. No one who had ever seen Catherine Morland in her infancy would have supposed her born to be an heroine. Her situation in life, the character of her father and mother, her own person and disposition, were all equally against her. Her father was a clergyman, without being neglected, or poor, and a very respectable man, though his name was Richard—and he had never been handsome. He had a considerable independence besides two good livings—and he was not in the least addicted to locking up his daughters. 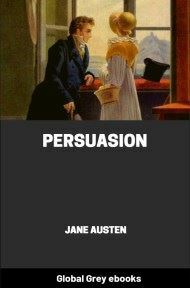 Her mother was a woman of useful plain sense, with a good temper, and, what is more remarkable, with a good constitution. She had three sons before Catherine was born; and instead of dying in bringing the latter into the world, as anybody might expect, she still lived on—lived to have six children more—to see them growing up around her, and to enjoy excellent health herself. A family of ten children will be always called a fine family, where there are heads and arms and legs enough for the number; but the Morlands had little other right to the word, for they were in general very plain, and Catherine, for many years of her life, as plain as any. She had a thin awkward figure, a sallow skin without colour, dark lank hair, and strong features—so much for her person; and not less unpropitious for heroism seemed her mind. She was fond of all boy's plays, and greatly preferred cricket not merely to dolls, but to the more heroic enjoyments of infancy, nursing a dormouse, feeding a canary-bird, or watering a rose-bush. Indeed she had no taste for a garden; and if she gathered flowers at all, it was chiefly for the pleasure of mischief—at least so it was conjectured from her always preferring those which she was forbidden to take. Such were her propensities—her abilities were quite as extraordinary. 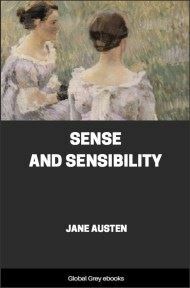 She never could learn or understand anything before she was taught; and sometimes not even then, for she was often inattentive, and occasionally stupid. Her mother was three months in teaching her only to repeat the "Beggar's Petition"; and after all, her next sister, Sally, could say it better than she did. Not that Catherine was always stupid—by no means; she learnt the fable of "The Hare and Many Friends" as quickly as any girl in England. Her mother wished her to learn music; and Catherine was sure she should like it, for she was very fond of tinkling the keys of the old forlorn spinnet; so, at eight years old she began. She learnt a year, and could not bear it; and Mrs. Morland, who did not insist on her daughters being accomplished in spite of incapacity or distaste, allowed her to leave off. The day which dismissed the music-master was one of the happiest of Catherine's life. Her taste for drawing was not superior; though whenever she could obtain the outside of a letter from her mother or seize upon any other odd piece of paper, she did what she could in that way, by drawing houses and trees, hens and chickens, all very much like one another. Writing and accounts she was taught by her father; French by her mother: her proficiency in either was not remarkable, and she shirked her lessons in both whenever she could. What a strange, unaccountable character!—for with all these symptoms of profligacy at ten years old, she had neither a bad heart nor a bad temper, was seldom stubborn, scarcely ever quarrelsome, and very kind to the little ones, with few interruptions of tyranny; she was moreover noisy and wild, hated confinement and cleanliness, and loved nothing so well in the world as rolling down the green slope at the back of the house. Such was Catherine Morland at ten. 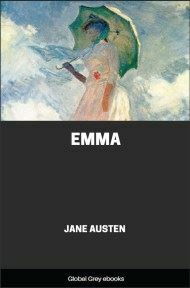 At fifteen, appearances were mending; she began to curl her hair and long for balls; her complexion improved, her features were softened by plumpness and colour, her eyes gained more animation, and her figure more consequence. Her love of dirt gave way to an inclination for finery, and she grew clean as she grew smart; she had now the pleasure of sometimes hearing her father and mother remark on her personal improvement. "Catherine grows quite a good-looking girl—she is almost pretty today," were words which caught her ears now and then; and how welcome were the sounds! To look almost pretty is an acquisition of higher delight to a girl who has been looking plain the first fifteen years of her life than a beauty from her cradle can ever receive. Mrs. Morland was a very good woman, and wished to see her children everything they ought to be; but her time was so much occupied in lying-in and teaching the little ones, that her elder daughters were inevitably left to shift for themselves; and it was not very wonderful that Catherine, who had by nature nothing heroic about her, should prefer cricket, baseball, riding on horseback, and running about the country at the age of fourteen, to books—or at least books of information—for, provided that nothing like useful knowledge could be gained from them, provided they were all story and no reflection, she had never any objection to books at all. 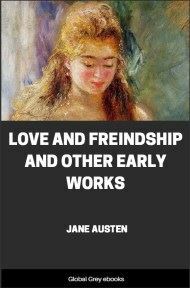 But from fifteen to seventeen she was in training for a heroine; she read all such works as heroines must read to supply their memories with those quotations which are so serviceable and so soothing in the vicissitudes of their eventful lives. "bear about the mockery of woe." "And waste its fragrance on the desert air." "To teach the young idea how to shoot."